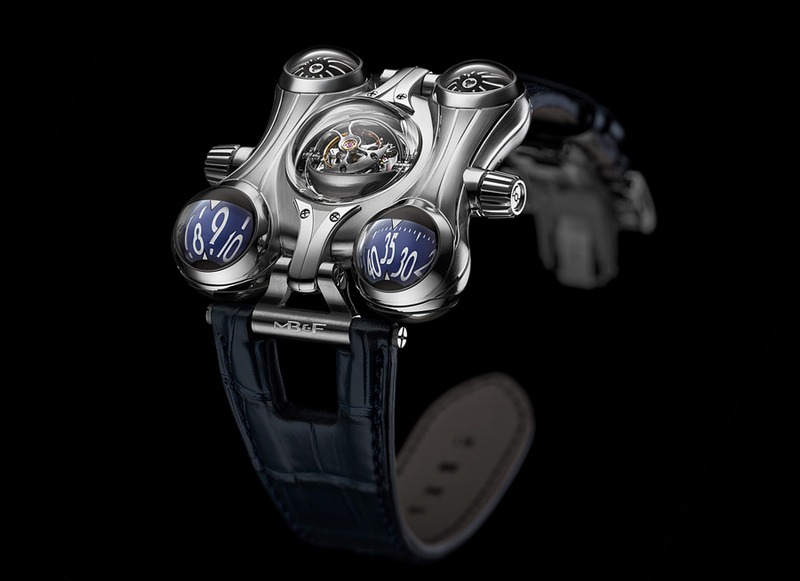 Maximilian Büsser & Friends introduced the “Final Edition” of its futuristic Horological Machine No. 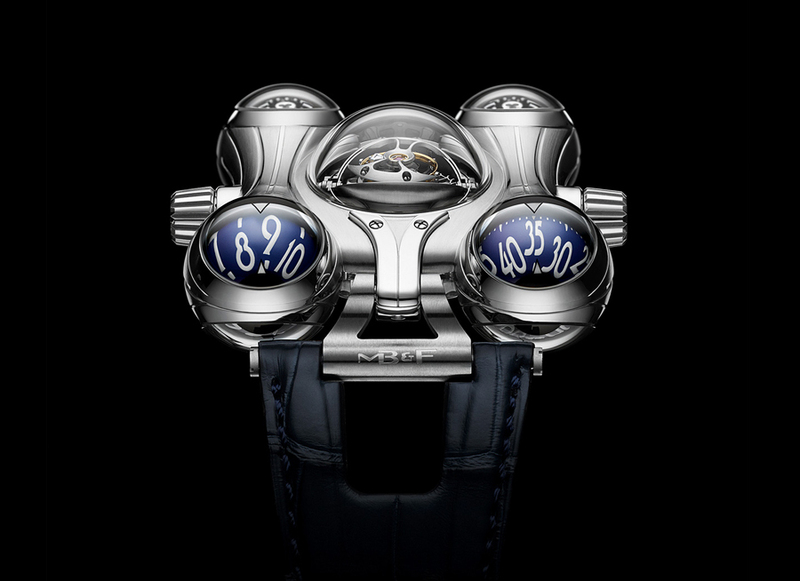 6 in stainless steel – a very rare metal in MB&F’s production. 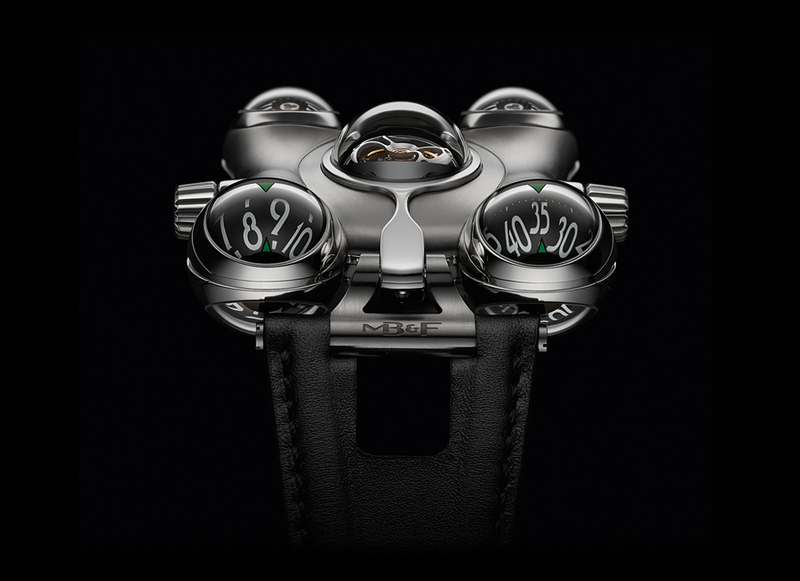 The MB&F HM6 Final Edition features a stainless steel fluid case shape measuring 49.5mm wide, 52.3mm long, and 20.4mm thick. 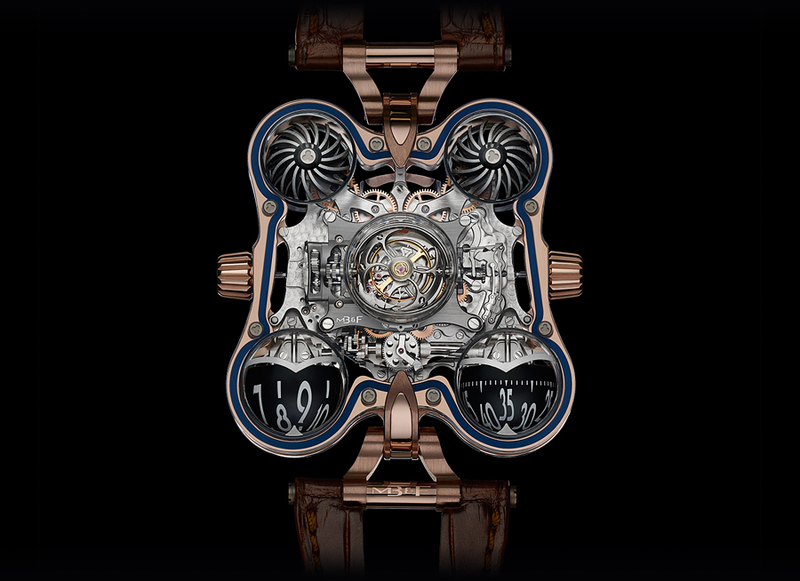 It has 10 sapphire crystals: 9 domed (4 for the hour and minute indications, 4 for the turbines, 1 for the tourbillon) and one flat (display back). 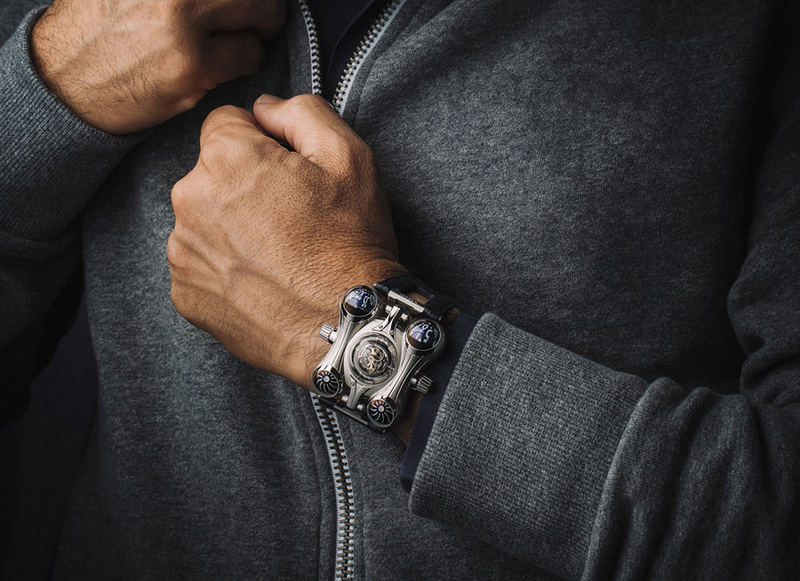 Inside is a three-dimensional horological movement with 68 jewels, 18,000 vph and a power reserve of 3 days, developed exclusively for HM6 by MB&F with David Candaux of Horlogerie Créative. 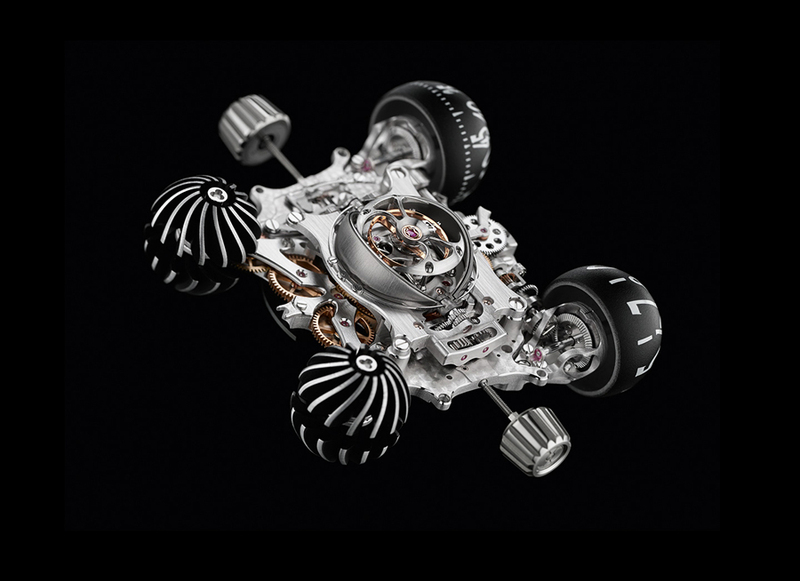 The movement of this watch, comprising 475 components, took three years of research and development to realise. 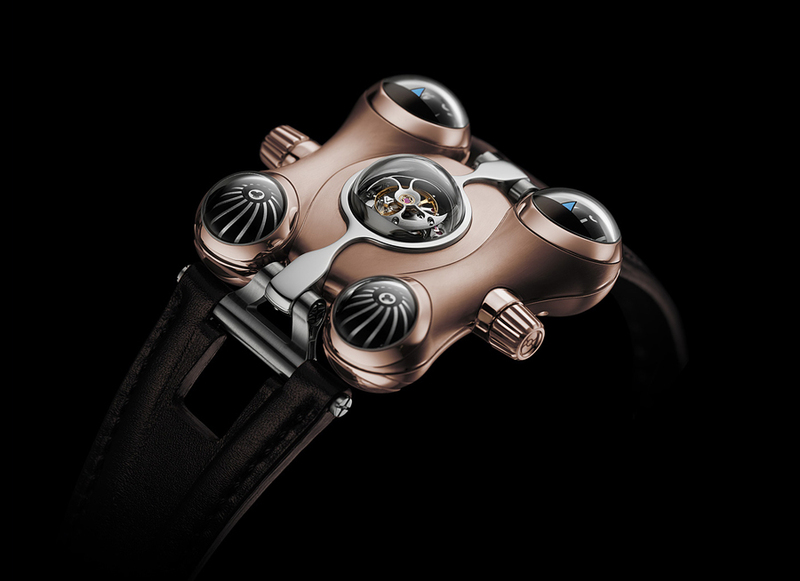 The MB&F Final Edition Horological Machine No. 6 is priced at $215,000 USD and is limited to just 8 examples. 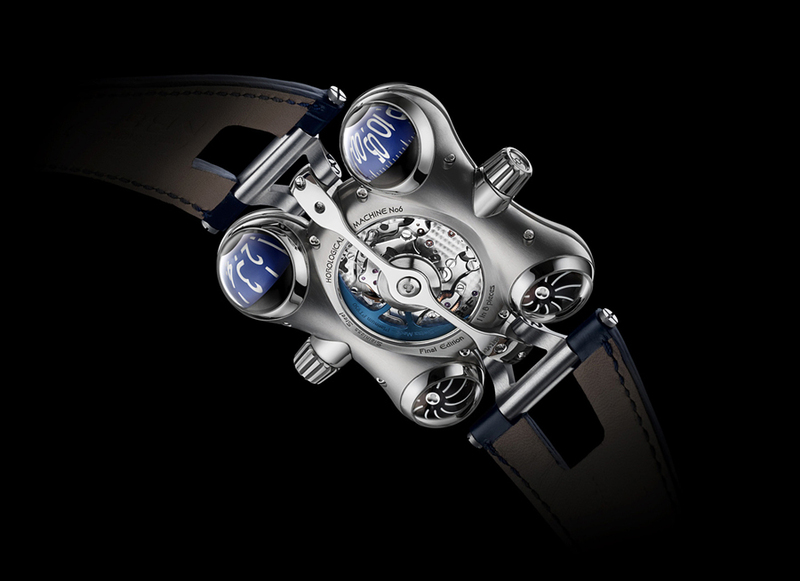 And don’t forget to check 10 Most Expensive Wrist Watches and 50 Black Watches for Men.